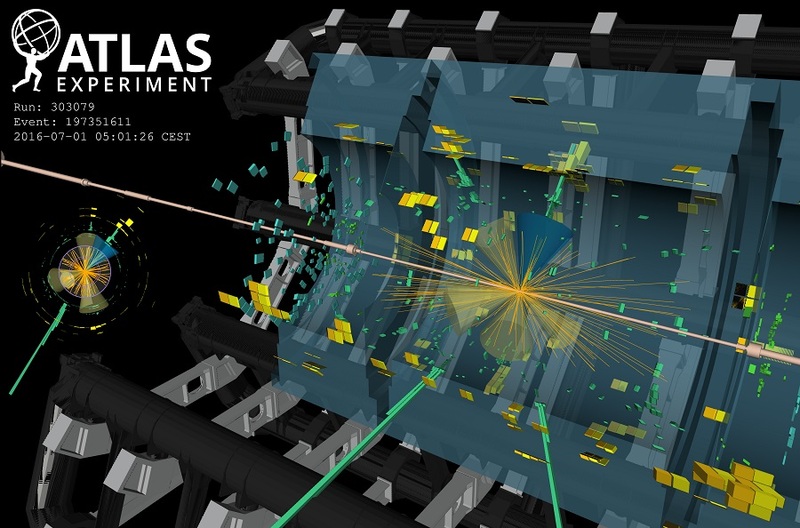 A candidate event in which a Higgs boson is produced in conjunction with a top and anti-top quarks which decay to jets of particles. The ALCF is the U.S. Department of Energy (DOE) Office of Science User Facility slated to become home to Aurora, the nation’s first exascale system, in 2021. The HEP projects are two of only 10 projects selected from universities and national laboratories across the country. Early Science Program projects will help the ALCF prepare key applications, libraries, and infrastructure for the architecture and scale of the exascale supercomputer. ALCF staff will help teams port and optimize their applications for the new architecture using systems available today and early Aurora hardware when it is available. James Proudfoot is leader of the ATLAS group in the Division, conducting experiments searching a deeper understanding of matter and the forces that control our universe at the Large Hadron Collider (LHC) at CERN, Switzerland.